At its core, ham radio (officially called amateur radio) is the licensed use of radio equipment for private recreation, experimentation, self-training, practice, emergency communications, or any other non-commercial use. 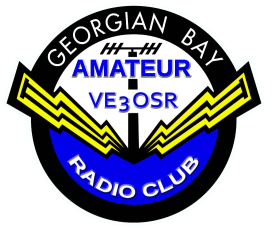 In CANADA, Insustry Canada regulates the Amateur Radio service and issues licenses to allow "hams" to work the airwaves. Ham radio helps build communication skills by talking and communicating with others. It is one of the lost skills in this era where we find ourselves talking more to computers than real people. Hyman-Almy-Murray. Tapping out such a long name in code soon became tiresome and called for a revision. They changed it to Hy-Al-Mu, using the first two letters of each of their names. Early in 1909 some confusion resulted between signals from amateur wireless station HYALMU and a Mexican ship named HYALMO. They then decided to use only the first letter of each name and the station call became HAM. In those early pioneer days of unregulated radio, amateur operators picked their own frequency and call letters. Then, as now, some amateurs had better signals than commercial stations. The resulting interference came to the attention of congressional committees in Washington and Congress gave much time to proposed legislation designed to critically limit amateur radio activity. In 1911, Albert Hyman chose the controversial Wireless Regulation Bill as the topic for his thesis at Harvard. His instructor insisted that a copy be sent to Senator David I. Walsh, a member of one of the committees hearing the bill. The senator was so impressed with the thesis that he asked Hyman to appear before the committee. Albert Hyman took the stand and described how the little station was built and almost cried when he told the crowded committee room that if the bill went through they would have to close down the station because they could not afford the license fees and all the other requirements which the bill imposed on amateur stations. Congressional debate began on the Wireless Regulation Bill and little station HAM became the symbol for all the little amateur stations in the country crying to be saved from the menace and greed of the big commercial stations who didn't want them around. The bill finally got to the floor of congress and every speaker talked about.. poor little station HAM. That's how it all started. You will find the whole story in the Congressional Record. Nation-wide publicity associated station HAM with amateur radio operators. From that day to this and probably till the end of time in radio, an amateur is a HAM.